From June into August, the 47th annual Drum Corps International Tour will march through many familiar locations and venues while showcasing the best of marching music from coast to coast. Spanning 52 days, the 2019 DCI Tour will feature more than 70 drum corps and SoundSport teams participating in 108 competitive events in 35 states. 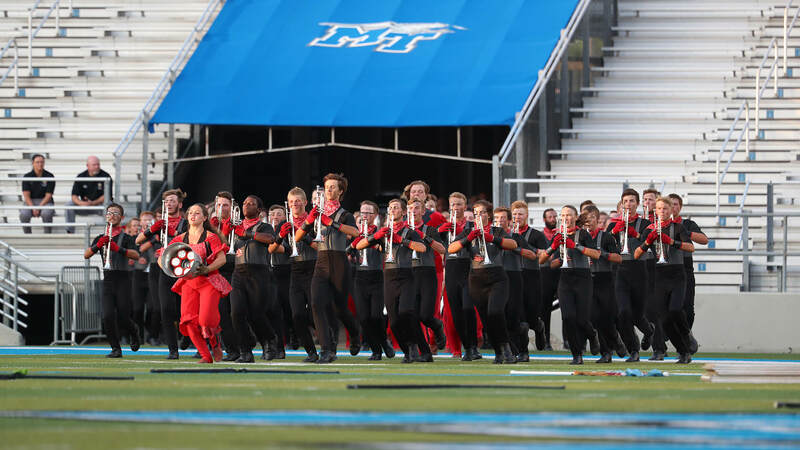 “With a renewed focus on safety, health, and wellness initiatives throughout 2019, we look forward to presenting this year’s tour that incorporates intervals of rest for performers, staff, drivers and volunteers at various times for each corps throughout the summer,” DCI CEO Dan Acheson said. Returning to Ford Field, the 2019 DCI Tour will kick off on June 20 in Detroit. After a spectacular opening night in the Motor City in 2018, the DCI Tour Premiere presented by DeMoulin Bros. and Co. will make a return to downtown Detroit to kick off this summer’s schedule of events on Thursday, June 20. 2018 World Championship finalists including the Bluecoats, Blue Stars, Boston Crusaders, Cadets, Carolina Crown and Phantom Regiment will take center stage at Ford Field in this second-year event that will also be broadcast live to hundreds of movie theaters across the country. Early-season action will heat up in California with familiar opening-weekend competitions in Clovis, Stanford and Sacramento. One of the highlights of this summer’s Pacific region events will be appearances by The Cavaliers. It will be the first time the Green Machine has spent the beginning of its summer in the Golden State in more than two decades. “Kicking off the DCI competitive season in California will be an exciting start to what’s shaping up to be a special coast-to-coast summer tour,” Cavaliers executive director Chris Lugo said. As Pacific events shift to the southern part of the state June 28 and 29 in Oceanside and Pasadena respectively, look for Genesis to also get in on the action, in what will be the Austin corps’ very first trip west of its home state of Texas. The annual DCI Southeastern Championship returns to Atlanta's impressive Mercedez-Benz Stadium on July 27. 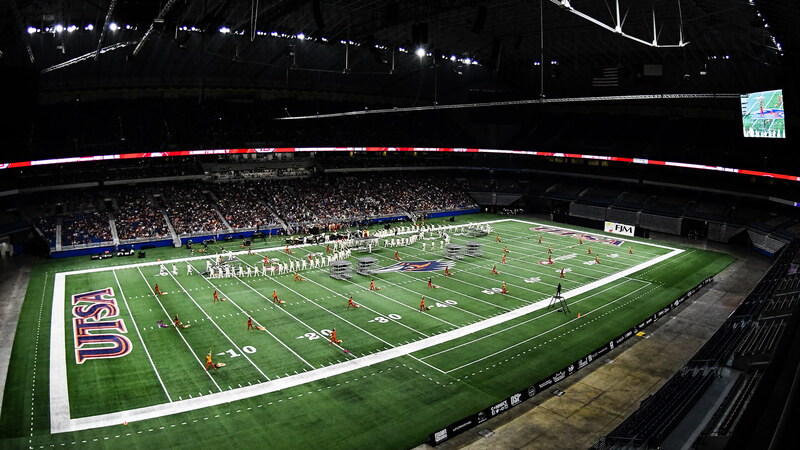 Anchoring the DCI Tour schedule in some of the biggest and most popular venues of the summer will be Drum Corps International’s Premier Event series. After the calendar turns to July, Minneapolis and Orlando will be among the familiar stops for corps the weekend following Independence Day. While a scheduling conflict will keep a major regional competition at the Dome at America’s Center in St. Louis off of the 2019 schedule, a new event in Belleville, Illinois on July 14 will provide a great venue to fans in the St. Louis region. An additional July 13 stop in Memphis will also create another new performance opportunity for drum corps in the Home of the Blues as the DCI Tour makes its way south in the second half of the month. 2019’s “Texas Tour” will kick off on Thursday, July 18, with tandem events in Belton and Denton before a return to Katy’s Legacy Stadium on July 19. The annual DCI Southwestern Championship presented by Fred J. Miller Inc. will offer the first time that corps and fans alike can see how the competition shakes out with DCI’s entire complement of World Class corps performing under the roof of the Alamodome, before one final Texas stop in Mesquite on July 22. Events in Birmingham, Alabama and Murfreesboro, Tennessee will serve as a warm-up to the fan-favorite DCI Southeastern Championship presented by Lone Star Percussion on Saturday, July 27. 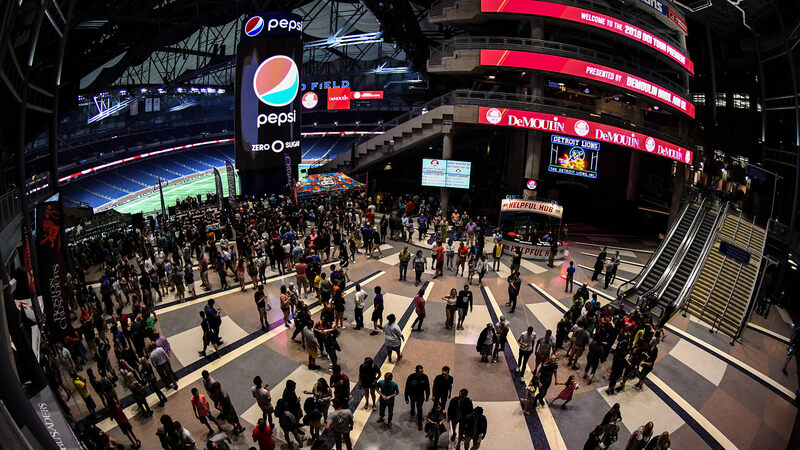 DCI’s sophomore season inside of Mercedes-Benz Stadium is expected to attract an audience that is second only to the DCI World Championship Finals in Indianapolis. The last weekend of the regular season will showcase DCI’s World Class corps at venerable J. Birney Crum Stadium in Allentown, Pennsylvania, split over two days of competition on Friday, August 2 and Saturday, August 3. Connecting the dots between Premier Event stops will be the bulk of the DCI Tour schedule, with stops in various towns and cities serving as waypoints for drum corps to safely crisscross the nation throughout their summer season. Indiana Wesleyan University will be the new site of the Open Class World Championship Prelims and Finals August 5-6. 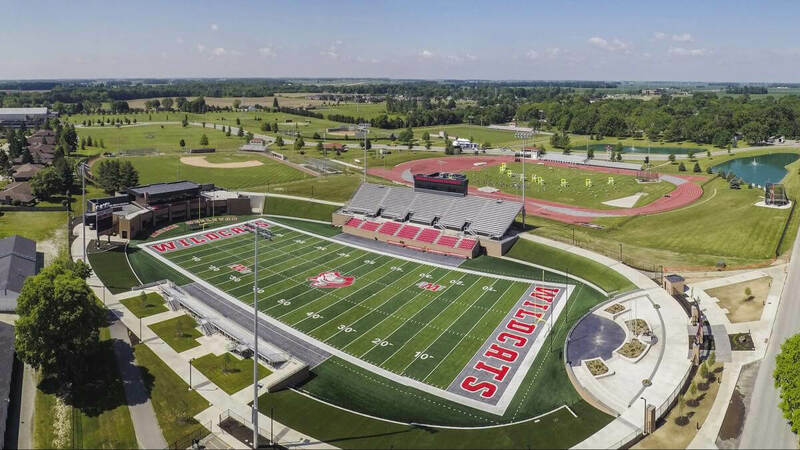 For the first time in more than a decade, DCI’s final week of the season will kick off in a new location, as the Open Class World Championships find a new home at Indiana Wesleyan University’s Wildcat Stadium in Marion. “A longtime rehearsal site for corps during Championships Week, we’re excited to utilize Indiana Wesleyan’s fantastic facilities to bring the start of our week-long series of events closer to Indianapolis,” said Susan Kuehnhold, DCI senior director of event development. With perennial Open Class powerhouses including Blue Devils B and the defending World Champion Vanguard Cadets announcing that they will focus their tours in their home state, the two-day Open Class series, August 5 and 6, will certainly have a different feel in 2019 beyond the new venue. Since the division was reorganized in 2008, none of the corps in this year’s lineup have ever laid claim to the Open Class title. 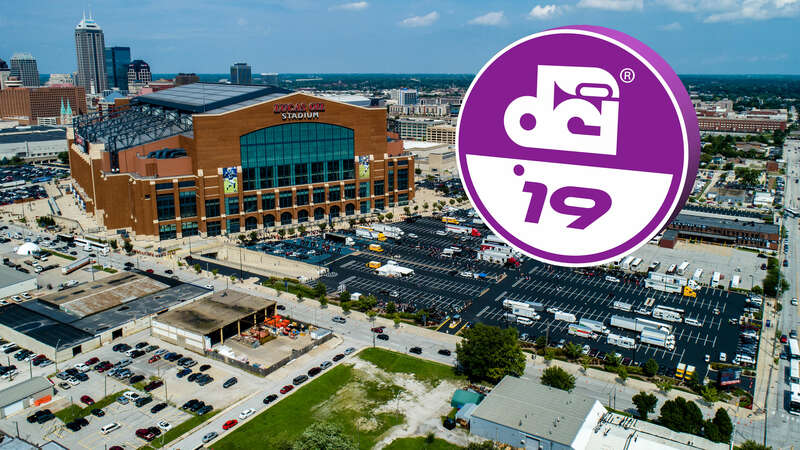 The action marches into downtown Indianapolis beginning Wednesday, August 7, when the DCI Performers Showcase presented by System Blue features individuals and ensembles at the Indiana Convention Center and iconic Indianapolis Artsgarden. 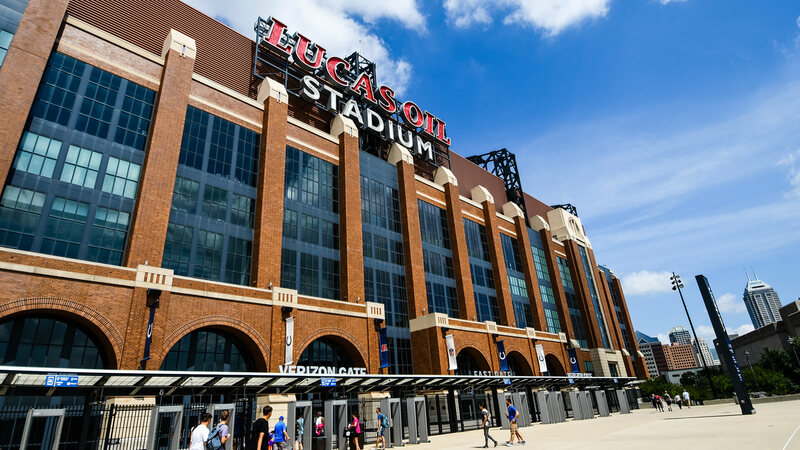 Open and World Class corps will square off under the roof of Lucas Oil Stadium for the Prelims competition on Thursday, August 8, as Drum Corps International marks 11 years hosting World Championship events at the venue. 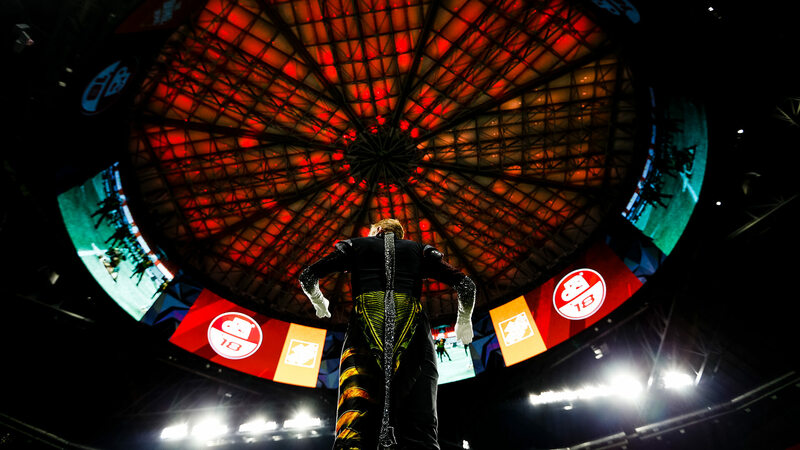 The top 25 corps will advance to the Semifinals on Friday, August 9, with the top 12 vying for the title of World Champion on Saturday, August 10. 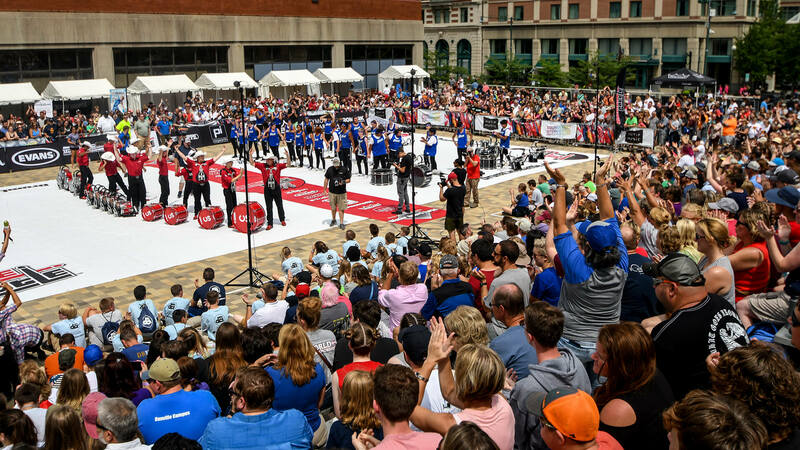 The fourth-annual SoundSport International Music & Food Festival will kick off the final day of World Championship action in Indy. Complementing a number of high-profile DCI Tour events will be Drum Corps International’s SoundSport and DrumLine Battle programs. The wildly popular competitive musical showcases provide a stage for an exciting variety of performance ensembles from around the world. In addition to a series of ongoing events produced around the world throughout the year, this summer's North American SoundSport and Drumline Battle schedules will feature stops in Florida, Texas, Georgia and Pennsylvania, before wrapping up on Saturday, August 10 with the fourth-annual SoundSport International Music and Food Festival in downtown Indianapolis prior to the start of the DCI World Championship Finals. This December, tickets to more than 35 of the most popular events of the 2019 DCI Tour will go on sale through the DCI Box Office and Ticketmaster, including single-day tickets to the DCI World Championships. Sign up for Drum Corps International’s "Box Office Alerts" to receive email notification when tickets to 2019 events near you will be going on sale throughout the winter months. One of 2019's biggest events will take place at the San Antonio Alamodome on July 20. Middle Tennessee State University in Murfreesboro will host a Tour of Champions series event on July 26. Three days of World Championship events will take place August 8-10 at Lucas Oil Stadium in downtown Indianapolis.